Love your mint top ! that floral print is so amazing and you look so beautiful as always. We are now following you, hope you follow back! Love this look. Super cute! Beautiful skirt. Where did you buy it? vale, i think circle skirts are fun. your floral skirt happens to be very pretty! Adorable outfit! LOVE the skirt - it looks just so simple and pretty! Love this outfit doll! You look gorgeous! Adoro quella gonna e il modo in cui l hai abbinata! I agree I love circle skirts! I love how we can feel so girly by wearing and how it gives off a vintage vibe. I also love how there are hints of neon in your outfit! però mi fai essere ripetitiva....fantastica anche qui....a me non stanno molto bene questo stile di gonne ma a te donano! adoro la clutch e le scarpe pink mania! ..davvero molto carina la gonna! This blue with flowers is lovely! Love the neon pink touch! I love your outfit ;) Beautiful colors ! che carina questa gonna! mi piace molto come l'hai abbinata, in particolare la clutch!! :)Ti sta benissimo! Un bacio!! I love this kind of skirt! Great inspiration! Taking my skirt out for a spin! Bello questo outfit! *o* Mi piace molto. Dovresti darmi lezioni di abbinamento vestiti e accessori, sono proprio negata <.<"
Amazing outfit *-* So cute! love circle skirts. they make me feel so feminine. this one is gorgeous!! Hi! Met your blog today, very nice photos! Your clutch is the pretty one in the world! Love it so much. Bellissima! Mi piacciono i tocchi fluo!! Amazing Look...cosi Romantica! un Outfit da 10 e Lode!!! Totally in Love ! Nice pictures and beautiful woman ! gorgeous circle skirt and really styled like those 50s women. I agree on their good-girl aura :D.
Following you already at Bloglovin ( number 1697) and Google Friend! adoro questo look!!! 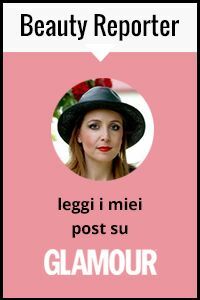 la gonna è stupenda, la clutch è molto carina e sei davvero bella! Love your circle skirt and the pops of pink are so fab! Following you on FB and Bloglovin' too! Thanks for the lovely comment in my blog Vale! I'm already following you. Hope you follow me back ♥ I loved your fashion! You have a great taste! molto carina la fantasia della gonna!!! I love your outfit and every single detail in it!!! Beau-ti-ful! But then again, all of your outfits are! Im doing a topshop giveaway on my blog! WOW! love love love your outfit, specially the skirt! I absolutely love this look and would definitely wear it. Circle skirts are my favorite too. They're so feminine and easy to wear. I also like how you pared it with denim and neon clutch. Excellent! Absolutely in love with this skirt, such a great outfit, looks not only elegant but stylish and comfy!!!!! Your denim vest is cool! Come stai?? Miss you. Know are you?? Lovely look as always. Very pretty, summery and lady like. I love that pink clutch, the color is perfect!! The pattern of the skirt is really beautiful ! I love those skirts, and the print is nice, not too busy. Great blog, I love the title. Love the floral blue skirt! Cute blog! Thanks for your sweet comment on my blog and sorry for the late reply. Now following on GFC and bloglovin! The floral prints on the skirt is very refreshing. I love all the photos that you post.